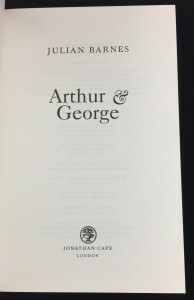 Notes on this edition: In 2005, the London Review Bookshop began publishing limited editions in high quality bindings, and they chose Julian Barnes’s novel Arthur & George to inaugurate the series. 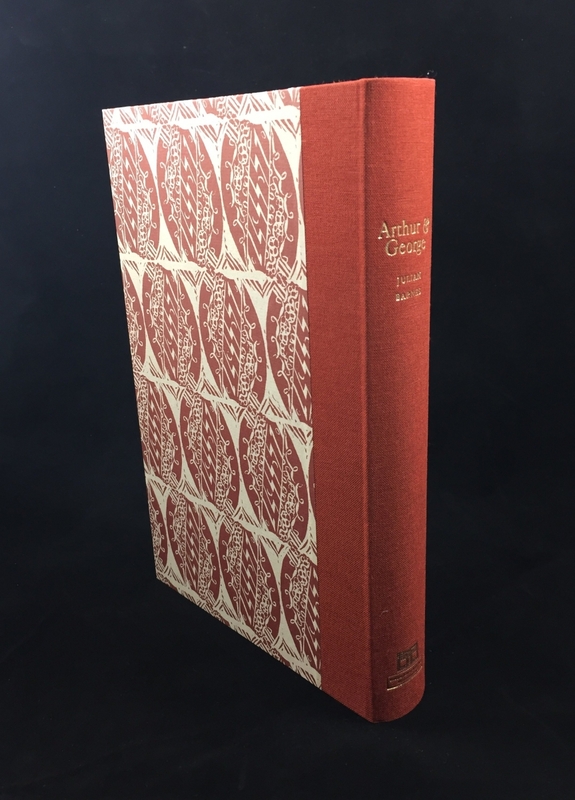 Overseen by Andrew Stilwell, the London Review Bookshop’s limited editions typically feature two kinds of special bindings (cloth and leather) housed in finely constructed slip cases. 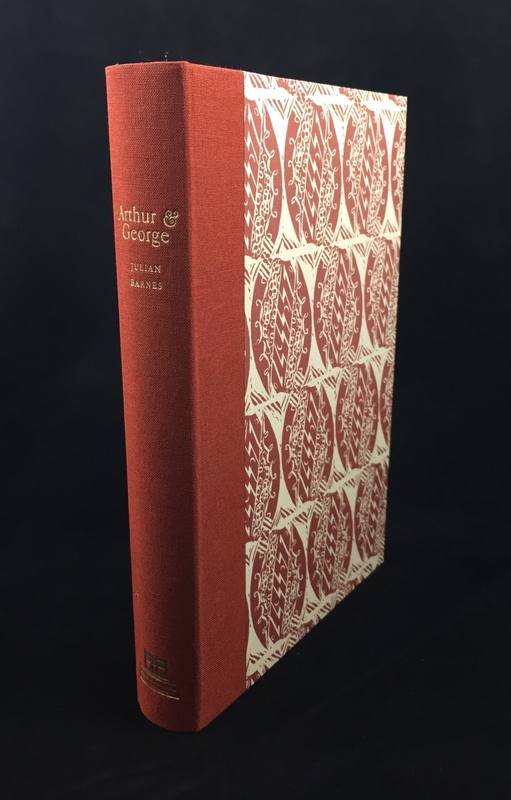 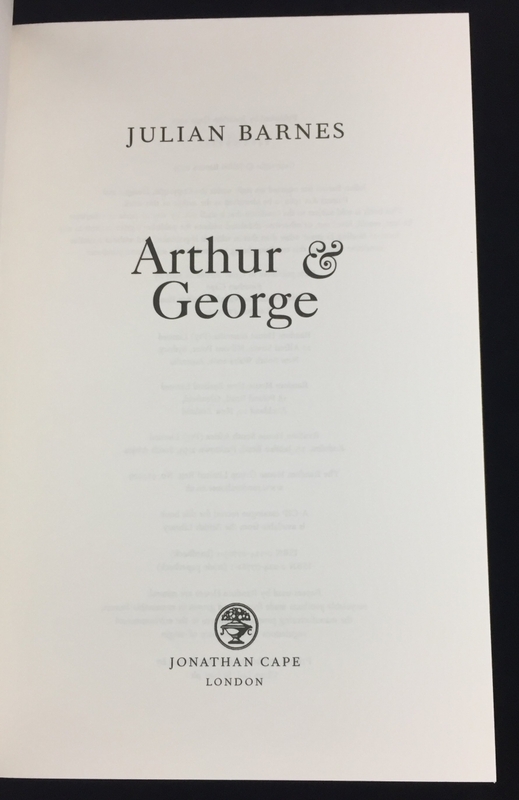 A special signed limited First Edition of Arthur & George, of which one hundred and twenty-five have been quarter-bound in cloth and numbered 1 to 125, and twenty-five quarter-bound in leather and numbered i to xxv. 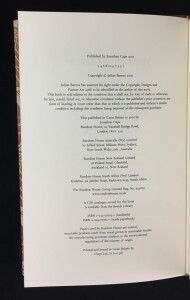 The patterned boards are from a design by Enid Marx for The Curwen Press. The book has been bound and slipcased by The Fine Bindery, Wellingborough, Northants. The edition pictured above is number 43 of 125, bound in quarter cloth. The book itself measures 24 x 15.7 cm. The slipcase measures 24.9 x 16.9 cm. 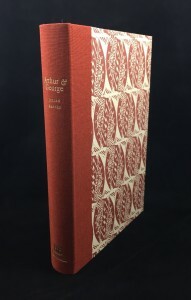 The Guardian briefly discussed the new limited edition series on 2 July 2005.